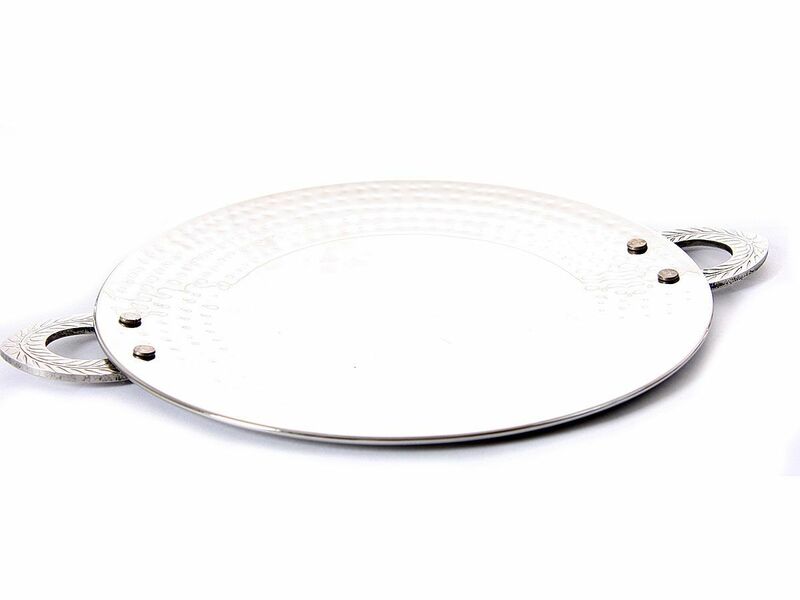 Wholesale Handbags #TD-3718 Stainless Steel Tawa Dish - Hammered by Hand. Hand made Riveted Handles for long life. Stainless Steel Tawa Dish - Hammered by Hand. Hand made Riveted Handles for long life. For more Kitchen Items, click here.